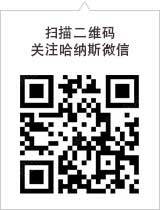 The Trade Union of Yinchuan City’s Development area called on and support the trade union organizations to carry out the labor competition which take “The most glorious labor, The most glorious creation” as the subject. So that to play its roles as the main force through the labor competition and encouraging and guiding Hanas workers to work hard, be honest, be innovative, based on the post and striving to be the first and best. 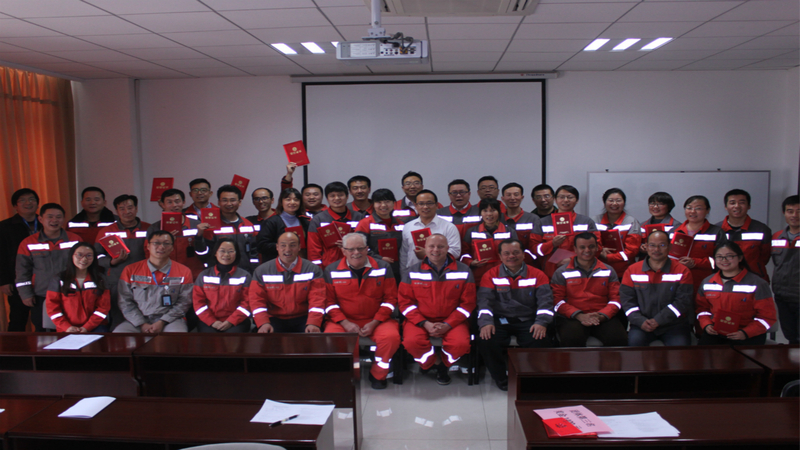 In accordance with the actual situation and needs of the Company, the Labor Union Committee of Ningxia Hanas LNG Co., Ltd. actively responded to the call and planned and implemented the Internal Trainer Skills Competition, the CPR First Aid Competition and the Fire Skills Competition in the current year. Staff actively enroll and participate in various labor competition, in which fully display and improve of the job skills. Fire Skills Competition – the contest for developing life skills, practice for developing abilities. 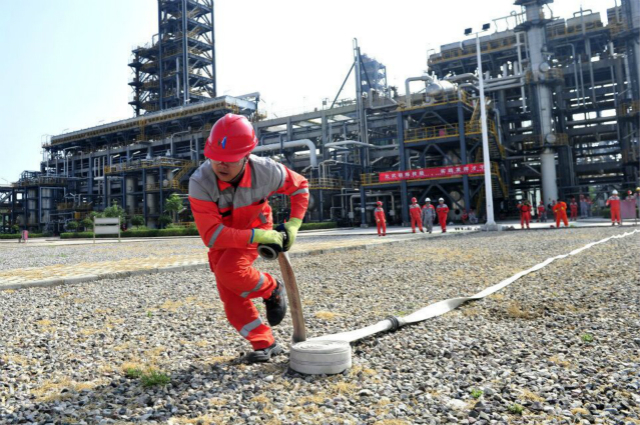 To further improve the post staff’s fire skills, and improving plant’s safe production level, the Trade Union Committee organized a “fire skills” contest. After active propaganda and extensive mobilization, and fully integrated with the early fire drill, the plant organized eight teams and divide them into two groups (a total of 40 people) for the fire Skills contest competition on August 4, 2016 and August 8, 2016. Before the competition, the team members are practicing on the training field over and over again without being afraid of the intolerance heat at daytime and the mosquito bites at night. because they know that excellent fire skills are accumulated through the daily practice, and they hope that they can not only achieve excellent results but also enhance their firepower in the competition. The fire skills competition highlighted the characteristics, closed to actual combat, paid attention to effectiveness, gratified results and has been affirmed by the fire department. This event is a game for the real, guided by the prpose of improving staff’s level of fire-fighting skill and based on the on-job-training. To develop a series fire skills such as emergency response collection of emergency teams, rapidly wear of air respirator and fire fighting suit, rapidlyunfold and link of water hose, speed of fire fighting, teamwork spirit and so on, to enhance plant workers’ Emergency response capability in emergency situations, and the first response team of the plant can be quickly organized, also it will quench the initial fire quickly and minimize the damage losses. Internal Trainer Skills Competition – Who are you working for? 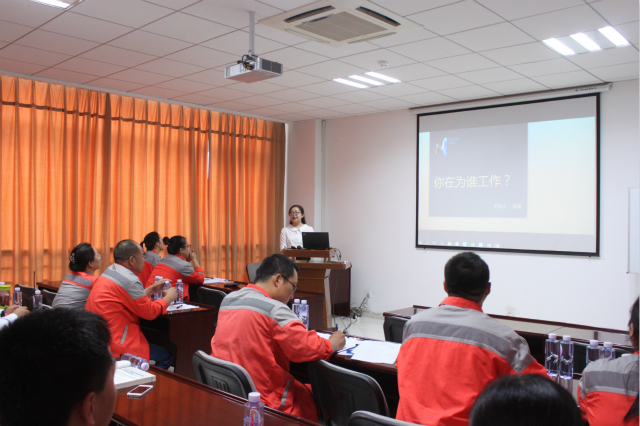 The plant support department actively organized and carried out the 2016 Internal Training Skills Competition based on the principle of “Encourage, Exchange, Train and Improve”. With the company’s strongly support and the various departments of trade union’s actively cooperation, the competition was carry out by divided into two groups on August 23 and August 30,and got a successful conclusion. The theme of the competition is “Who are you working for?” Around this theme, the PPT and training styles presented by 13 contestants are distinctively. Some are formal rigorous and easy to reason, and some witty humor to mobilize the audience to participate in the enthusiasm; some elegance, such as the spring snow, some low as booting on the ground; and some, such as trickling, major principles derived from simple stories, some like the vast river with a magnificent momentum as the rainbow. Each of the training are full of positive energy and emitting Hanas optimistic attitude of the people. The competition not only displayed the participants’training skills, but also inspired the audience’s minds and make them enjoy a gluttonous feast of the spirit. Those words of inspiration like a lingering sound and leaves a lasting impression on the visitor. The majority of employees are also said to work harder to open a new chapter in a better life hand in hand with you and me together. The success of this in-house trainer competition was not only to achieve the purpose of this skills competition and to enhance the company’s internal trainer basic skills and technical skills, achieved training purposes of improving the overall level of training and quality, but also makes the spiritual connotation of the training theme “Who you are working for” enjoy popular support, and further enhances the sense of responsibility and ownership of the work. In order to further improve the awareness and mutual rescue capability of all employees, to train and enhance emergency response capability of plant employees in emergencies, to strengthen company’s safety education and safety production, HSSE carried out the competition of emergency rescue – CPR. The purpose is to let all employees to master the first aid knowledge, so that they can get it together, can give correct cardiopulmonary resuscitation to the wounded when facing with an emergency situation, then the damages and losses will be minimized. To strive to come out on top. players and the audience’s questions in time. It is not only participants were inspired, the audience are also benefited a lot. Through our active cooperation and efforts, we completed this competition successfully .We show the achievements and the levels in the game, and improved the team spirit of cooperation as well as achieved the improvement on CPR skills of the whole company. Also it achieved the expected results of the game. 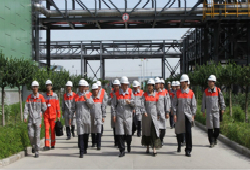 Following the successful completion of the competition, the LNG Plant held a Labor Competition Commendation Ceremony at the regular monthly safety meeting on December 6, 2012, in collaboration with the Labor Union Committee of the Company, and honored each of the award recipients with prizes. After the meeting, the union also prepared cakes and fruit for all employees, in order to cite every employees for this year’s hard work and pay. The plant director expressed his appreciation and encouragement to all the members, and thanked every employee for their diligent and hard work, thanked for fulfill every task with high standards and strict requirements and practicing every rule of the plant. 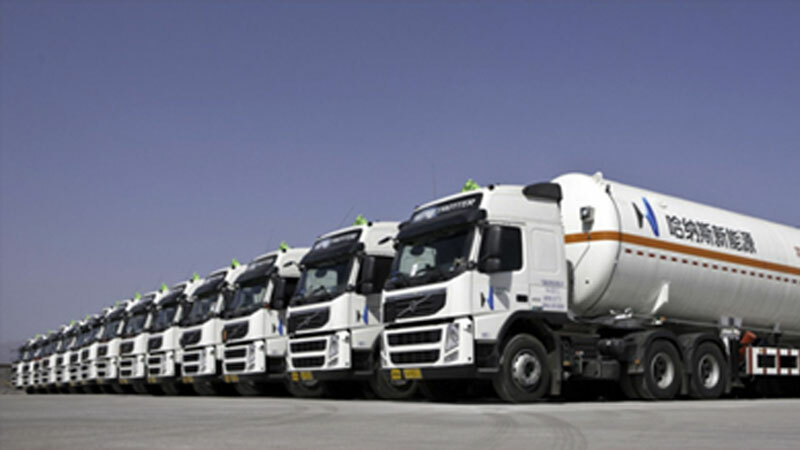 2016 is a busy year for plant’s operations, we learn to do more with less resources, because that efficiency is our goal; We pay more attention to safety, because safety is every employee’s responsibility of the plant; We pursue for continuously improvement and care for each other, because the plant is not only need to finish every day’s job, but also need to make every tomorrow more brilliant.